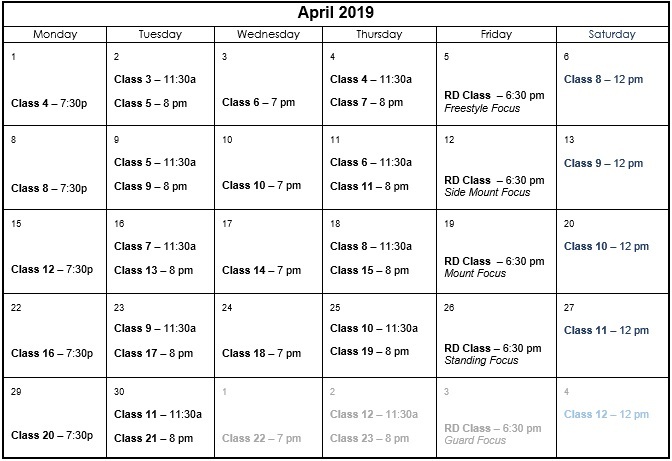 Please use these calendars to help you keep track of what lessons you have already attended, and which classes you are missing and need to attend. The class number and technique guide follows the calendars at the bottom of the page. A hard-copy of these calendars are also available at the dojo.